First spotted by Courthouse News, James and Bethany Modisette claim that Apple is liable for a fatal car crash because of its "failure to install and implement" a patented ability to "'lock out' the ability of drivers to utilize the FaceTime application on the Apple iPhone when driving a motor vehicle." 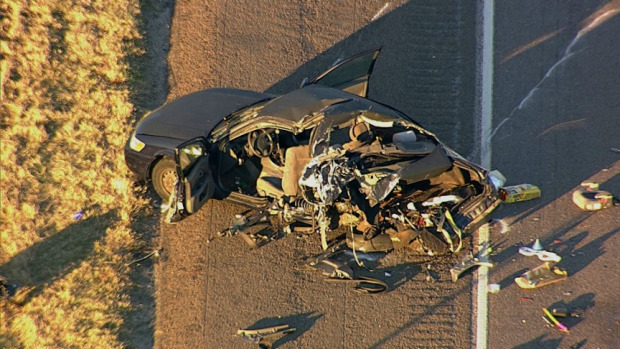 The suit stems from a death related to the Dec. 24, 2014 accident in Texas, when James Modisette slowed the vehicle the family was traveling in because of road congestion. A 20-year-old driver then slammed into the rear of the car at 65 miles per hour, injuring the passengers in the Modisette's car, and ultimately leading to the death of the five-year-old Moriah Modisette after arrival at a local hospital. The driver at the wheel of the vehicle that slammed into Modisette's car told police that he was using FaceTime on his iPhone 6 Plus at the time of the crash. Additionally, police found that the app was still running and a call was in progress when they arrived at the scene. "Despite both the technology since 2008 and a patent on that technology so it could exploit its patent without competition for 20 years, " declares the court filing, "defendant Apple has consistently and continuously failed to implement a safer, alternative design that would lock-out and prevent use of FaceTime while driving." The filing goes on to claim that the conduct of the driver that caused the accident is "inextricably intertwined" with Apple's failure to implement the patented lockout feature. As a result of not implementing a patented feature, Apple has allegedly "breached a duty of care to plaintiffs." Regarding a FaceTime lockout, the suit claims that "the cost of altering the design would be minimal" for Apple and "there are no conceivable disadvantages to implementing the technology." It is unclear how that assumption has been reached by the attorneys filing the document. Apple is being accused of making the iPhone 6 Plus defective by design by not including technologies that may have never been developed despite the patent ownership. In failing to implement the technology, the suit claims that Apple acted with intent to cause injury, with a "willful and knowing disregard of the rights and safety of another" in order to profit. Texas has no law restricting cellphone use for drivers over 18 years old on the state's highways. The suit is not demanding that Apple ultimately implement the technology. It is seeking damages, medical expenses, and other remuneration as the court sees fit as a result of not including the technology that it holds a patent for, but has not as of yet implemented in any of its products.